FREE DELIVERY within Australia on orders over $150. FACTORY Second Gown – Gown has slight red mark on inside lining of gown. Mark is on left size of shoulder. Please Note. This item cannot be returned or exchange. 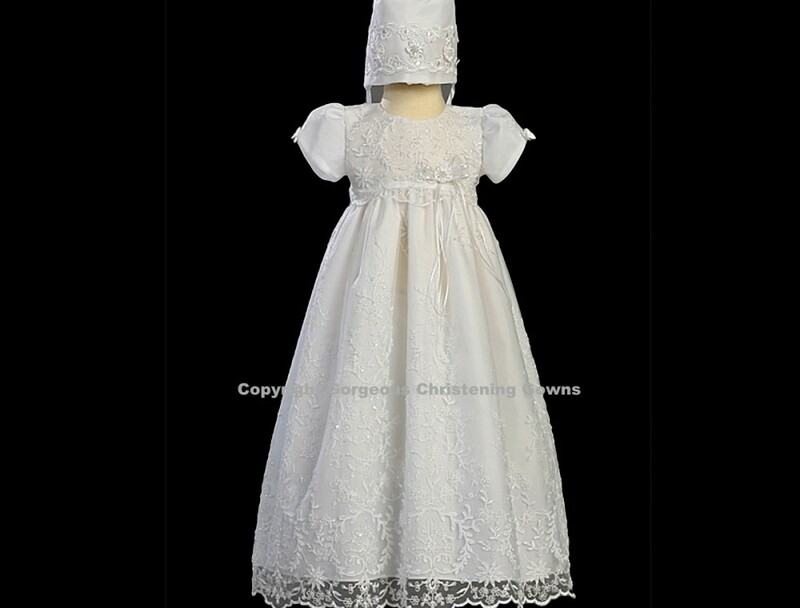 beautiful embroidered tulle Christening Gown. The fabric of this grown is embroidered and finished with beadwork. Ribbon bow at waist. 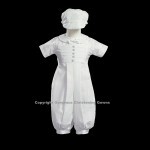 Matching Bonnet with appliqué trim and beadwork also included.